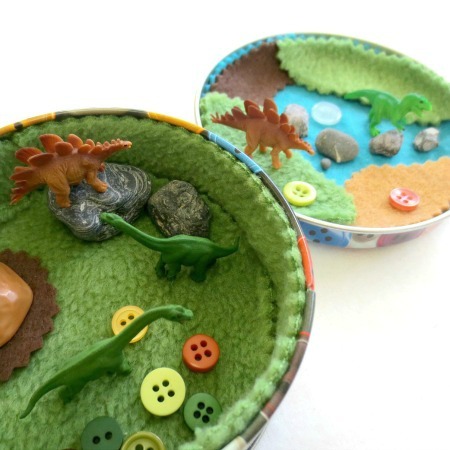 The inventor’s box is hands down one of the most favourite “toys” in our home. The kids love tinkering their little hearts out, creating who knows what. 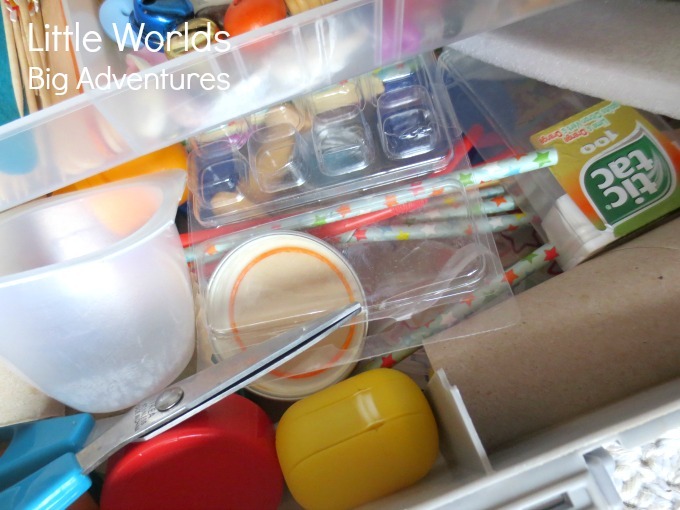 Our inventor’s box is usually a mess, filled with recyclables and random craft materials. And while that works great for our all-over-the-place Mr 3, Miss 6 is starting to enjoy a more ‘sophisticated’ (read ‘6-year-old-pretty’) way of tinkering. Which is why I set up this portable tinker box for her. It’s filled with gorgeous little items, a lot of washi tape and glitter. Now she can easily take her tinker box to grandma or move her projects to her room, far away from her prying little brothers. It’s been a huge success, I should have made one sooner! Scroll down to have a closer look at the things we put in there and get some great ideas to kick start the next series of creative projects! 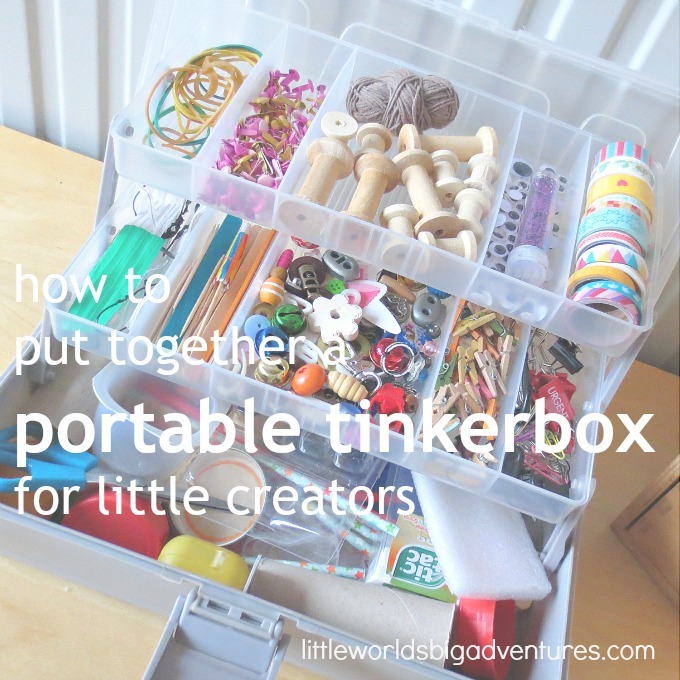 What Goes in the Portable Tinker Box? If you haven’t already, it might be a good idea to quickly go through my post about the inventor’s box first. 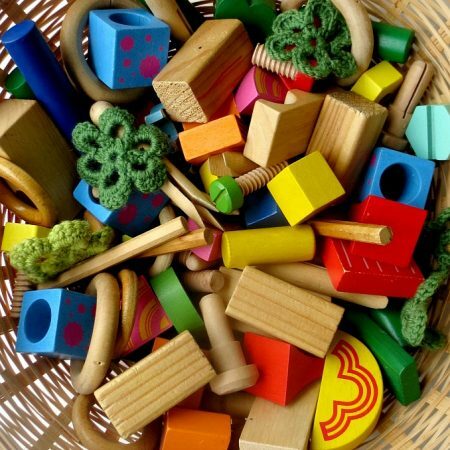 It will give you some more background information about playing with loose parts and take you the basics of putting together a tinkering kit at home. 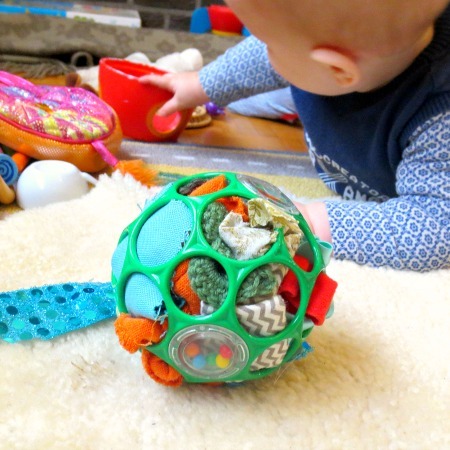 In short, the Theory of Loose Parts teaches us that the more random materials you have, the more creative possibilities there are. That means that in this case: more is more. The thing to keep in mind is that loose parts can be anything. 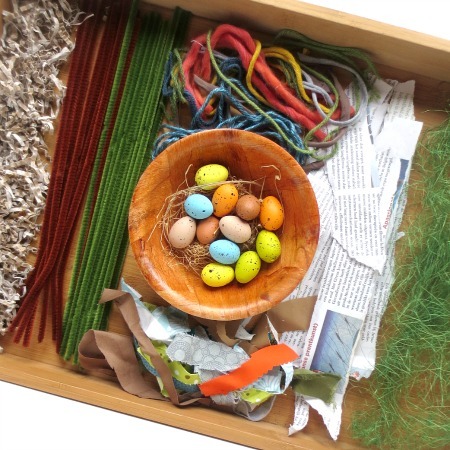 Anything you have around you can be used and played with as loose parts. So when putting together your inventor’s box or tinkering kit, you put in there whatever you think would be a good idea. What I’m showing you today is only a guideline, a bit of inspiration or a starting point. The first thing you need is a box. 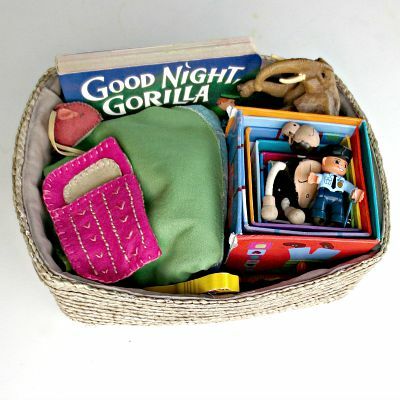 A cheap storage craft box from the craft store or even the dollar store will do. 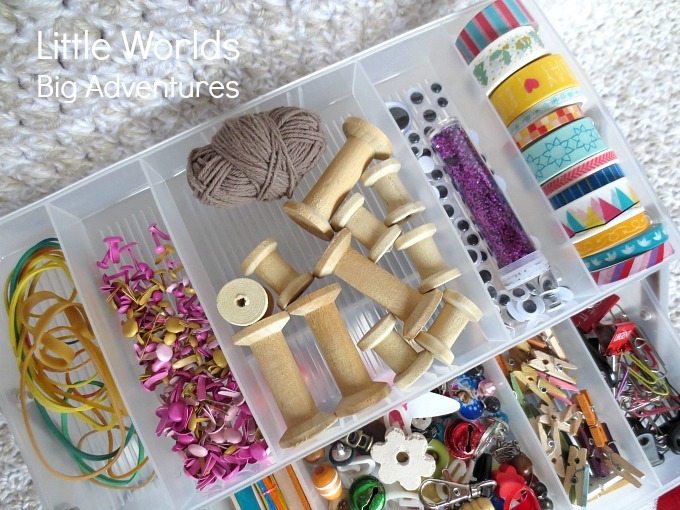 Have a closer look to the images of our portable tinker box below and see if you can spy the items mentioned above or some of the more random things in there! Some kids are natural tinkerers and others might need a little encouragement. A fun way to get kids thinking creatively is by presenting them with a challenge. You can write little prompts on cards or brainstorm together with your child. These challenges can be anything from “can you build a boat that will float?” to “make a house for you mini Lalaloopsy” or “can you build a rocket ship?”. Whatever you can come up with will do. And when you’re stuck ask a sibling or random person for an idea. Nothing is too crazy! My daughter likes to get her tinker box out when there’s a birthday or some other festive occasion. She loves to add a little something to cards, or make her own. 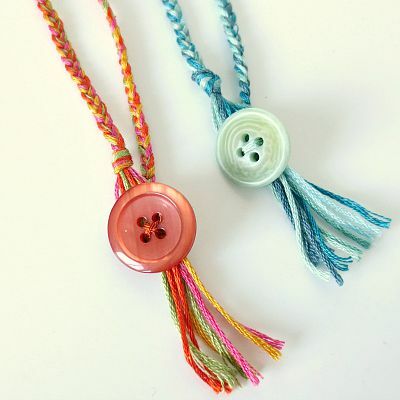 She also really enjoys creating tiny random presents for the people she loves. 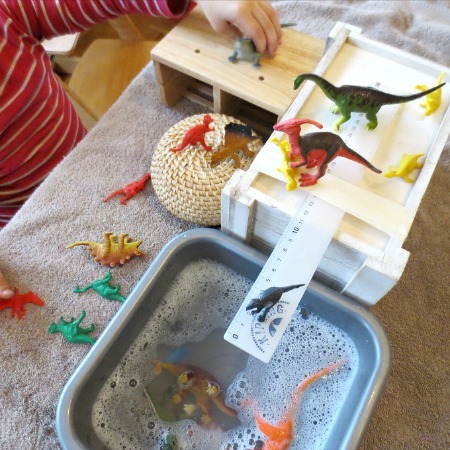 You’ll probably find out sooner rather than later how your child prefers to work with his or her tinker box and I have no doubt you’ll enjoy observing them from the corner of your eye just as much as I do! 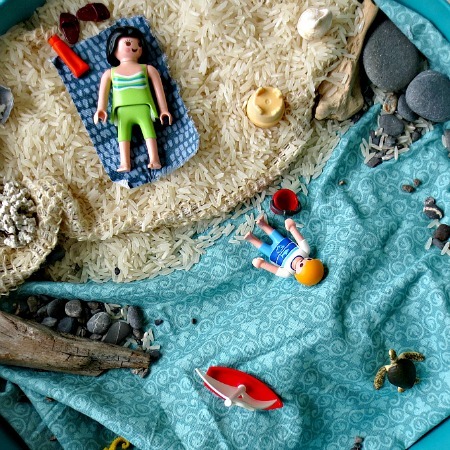 Tinker-boxes themselves can take all kids of shapes and forms. 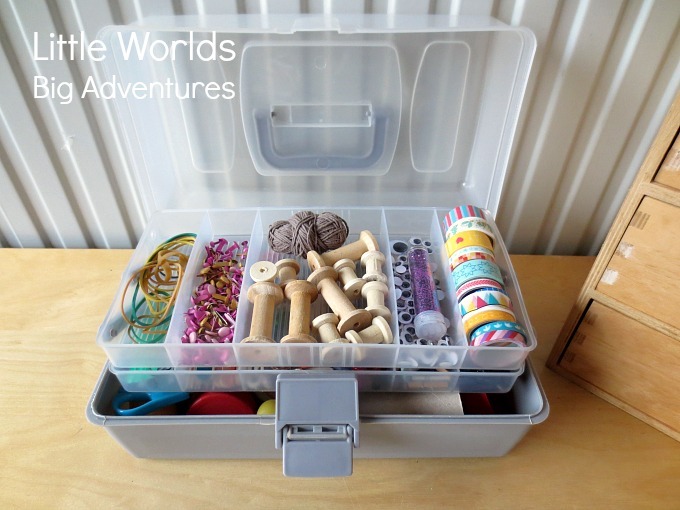 Have a look at this portable tinkering kit from Left Brain Craft Brain and this dollar store engineering kit from Little Bins for Little Hands or this tinker box from Busy Toddler. All different and all fun! Tinkering is a very cool thing to do nowadays and there are lots of resources for you to tap in to. Let me point a few out to you. 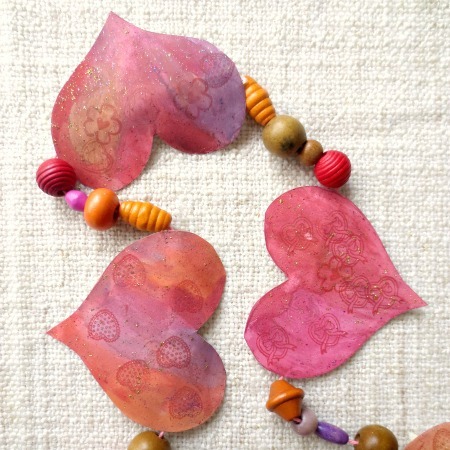 THE best place to start in my humble opinion is by visiting Rachelle’s Tinkerlab. You can connect with her and the tinker community on facebook here and join the interactive Club Tinkerlab here. Rachelle has also written a book that is an absolute gem and would make a great present for little (and big!) tinkerers. We’ve been exploring the wonderful world of STEM (science, technology, engineering and mathematics) bit by bit ourselves over the years. And I must add to this that STEM is in no way my thing … For the beginners or reluctant STEM’ers, here are a couple of ideas for you to ease into it! 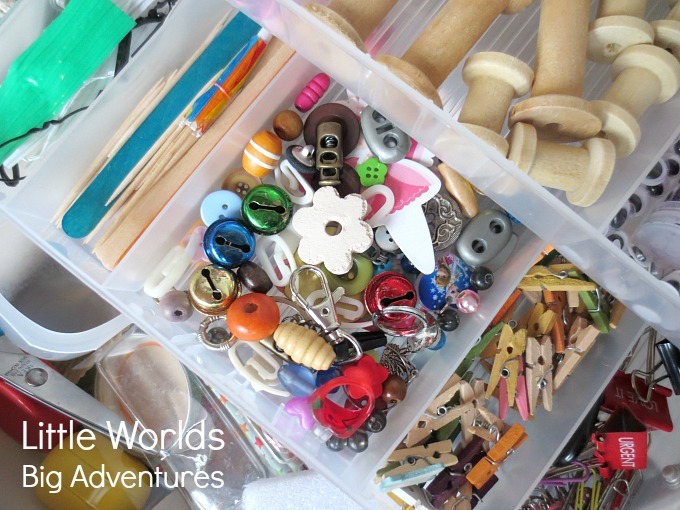 And for all of you who LOVE loose parts … (raise your hands!) 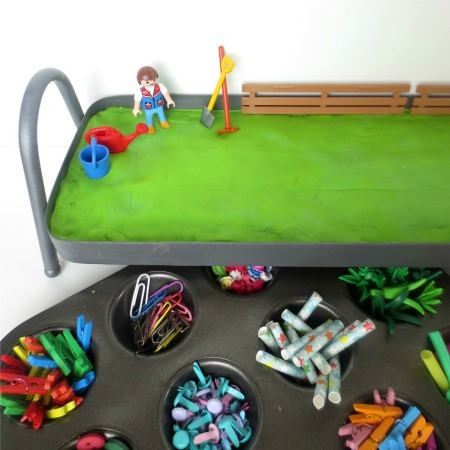 you will want to have a look at our sweet and simple, out of the box, loose parts play ideas here.